Home / Health / Why You Should Get Your Blood Pressure Tested Right Away! 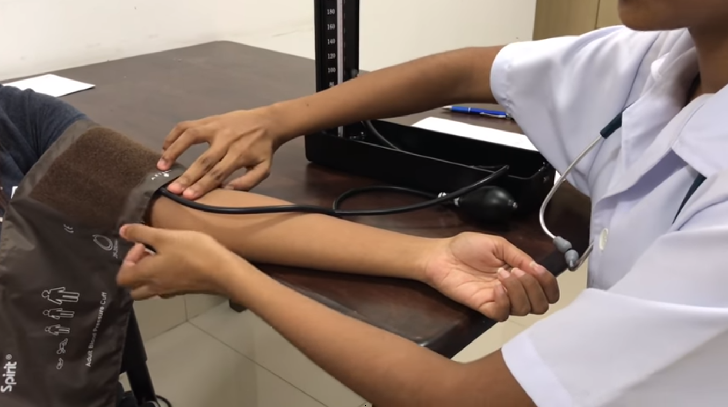 Why You Should Get Your Blood Pressure Tested Right Away! You’re not alone if you have concerns about your blood pressure. Nearly 1 out of every 3 adults need to be concerned. And according to cardiologists, 28 percent don’t know it. Many people go about their lives unaware that their blood pressure levels may be creeping higher, even within the normal range, as they age or add on extra pounds. Things you take for granted like remembering names or your ability to think or learn can be affected. I strongly advise you to know your numbers. Get your blood pressure tested right away if you haven’t in the last two years. The risk of not knowing and not acting is simply too great. You have many options available to take control. A healthy blood pressure is one of the key measures of a healthy heart, so your blood pressure is vitally important! If your arteries become less flexible and can’t expand easily to handle the extra amount of blood flow, your blood pressure rises. When your blood pressure rises, your heart has to work harder to keep blood flowing. Certain situations could cause this increased demand for a short time like high-intensity training but that’s not an issue if you’re healthy. The problem is when it’s continuous. Forcing your heart to pump hard without a break can place it under a great deal of stress. And here’s a fact you may not know about blood pressure. When your blood pressure is too high, even when within the normal range, your arteries can become stiffer, which makes your heart work harder and your blood pressure go even higher within the normal range. Blood pressure issues can go undetected for years. Do you know your numbers? According to the CDC, a “normal” reading ¹²⁰/₈₀. If you are under 60 and have no other risk factors, your diastolic pressure may be most important. If you’re over 60, your systolic pressure is your most important cardiovascular risk factor. Be aware that, depending on your overall health, your doctor may want to treat you with medication even if your pressure is as low as ¹³⁰/₈₀. In addition to testing your blood pressure levels, be sure to check your fasting insulin level. As insulin resistance is very closely linked to blood pressure. A healthy fasting insulin level is between 2 and 3 microns per mL.